Crouched and huddled in corners, with the lights off and the shades drawn, students sit silently. Perhaps they talk in whispers, but in general, the atmosphere is quite different from your everyday classroom. This is a lockdown drill. In recent years, school shootings have become a hot-button topic that districts across the nation have discussed. According to Time Magazine, there have been nearly 400 school shootings in the past five years alone. Lockdown drills that once were nonexistent have become as common as fire drills. Fear and concern have spawned a new system of keeping schools, teachers, and students safe. The lockdown system tries to keep students and teachers safe by having them lock the doors, stay hidden, and avoid confrontation. For the past several years, it’s been an effective and widely used method for schools across America. However, HWRSD, as well as other schools in the area and across the country, are beginning to transition to a program called A.L.I.C.E. 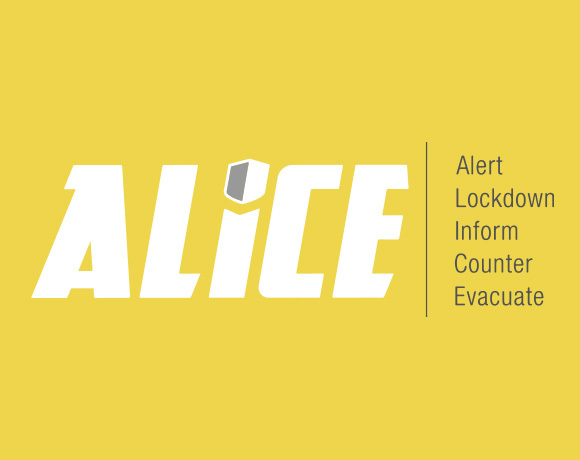 A.L.I.C.E., (Alert, Lockdown, Inform, Counter, Evacuate), was created by Greg Crane, a Dallas police officer whose wife worked as a principal in the area. In the wake of the increasing number of school shootings in America, Crane became curious about his wife’s plan if her school was ever broken into by someone who wasn’t welcome. She told him about the lockdown method that many schools use, but Crane felt that it was unhelpful and could lead to more damage than necessary. He helped create A.L.I.C.E. to improve upon this older system, and ensure safety for students and teachers. When we sat down with Mr. Menegoni and Mr. Tracy, we wanted to understand how this system differs from the one previously in place. Both administrators were on the same page, and spoke about how this program requires people to think more on their feet, responding to the situations they encounter. If an attacker is in the hallway next to you, it would probably be better to find a way to escape rather than just sitting in a corner, waiting for something to happen. When asked about why the A.L.I.C.E. program is being implemented into Hamilton Wenham Schools, Mr. Menegoni told us that there was a lot of influence from the community, especially from parents. In addition, “There was interest from the school administration [that drew us to it],” and from public safety officials like the police and the fire departments. Mr. Menegoni also explained that many people often thought that the old lockdown method asked individuals to hide, and not take any action, which he said was not the case. Action was an option with the old method, and it also asked for quick thinking. If the best option was to evacuate, then schools should do this. However, the A.L.I.C.E. program adds a unique way of dealing with intruders, which is as a last resort—to actually engage with them. Mr. Menegoni pointed out that “Humans have a natural fight or flight reaction.” He added that he hopes in most cases we use the flight method, but sometimes that isn’t the best option. He described the A.L.I.C.E. program as “more well defined” than the last program. When asked about how this new A.L.I.C.E. safety program was different from the lockdown method, Mr. Tracy told us this: “A.L.I.C.E. is not new, it’s just derived from the fact that doing something different than just sitting in a room … saves more lives.” He brought up the fact that one of the main features in the A.L.I.C.E. program was to promote decision making. Different situations require different solutions and that’s exactly what the A.L.I.C.E. program teaches. Furthermore, Dr. Harvey emphasized how important this system was to the area. He explained that “Most districts around here don’t have [an A.L.I.C.E. certification].” This was a key point for Dr. Harvey, who wants the district to be prepared for dangerous situations such as the ones that have been occurring across the nations. According to Campus Safety Magazine, A.L.I.C.E. is a system that takes the lockdown drills to a whole new level in an attempt to combat the rising rates of school shootings in America. It tries to build upon the ideas that the lockdown drills introduced in the early 2000’s. Step One: Alert. This is a relatively simple step, and it requires clear, calm communication amongst faculty and students. A key part of this is spreading information quickly and efficiently among large numbers of present individuals. Step Two: Lockdown. This one should be familiar to anyone who’s attended schools that have utilized lockdown drills. This step involves locking and barricading doors as securely as possible, and attempting to keep rooms safe. This part of the program also requires communication and making collective decisions as situations unfold. Step Three: Inform. Inform is an important step, and it should be left up to the adults in charge. Administrators should inform students and faculty of the details of an intruder or safety threat with caution, especially when younger students are involved. Step Four: Counter. This is where quick thinking comes into play. A huge part of A.L.I.C.E. is being able to change tactics based on the situation. Countering does not necessarily mean fighting with an intruder, but sometimes engaging with an attacker is the right course of action. However, this doesn’t mean that it’s always the way to go. Part of countering is knowing what the plan is as a group, whether that means throwing projectiles at an intruder, hiding and then attacking, or any number of other reactions. Step Five: Evacuate. Whereas the lockdown system encouraged everyone to stay in place, the A.L.I.C.E. program strongly advises evacuation for anyone who has the opportunity. Getting as many individuals out of a potentially dangerous area as possible is key. School shootings are a tragedy that every district wants to avoid, but that doesn’t mean that schools won’t prepare accordingly. HWRSD is relying on A.L.I.C.E. to do its job, and we at The General Consensus hope that we never have to use it. However, we trust that if the day ever comes that we need A.L.I.C.E., we will all be ready.